According to the American Red Cross and other leading bodies in the medical industry, blood can be safely stored and used for up to 42 days after it has been drawn from a donor - so long as it is kept in a room with high-quality humidity and temperature monitoring equipment, of course. But, despite this established best practice, some doctors believe fresher supplies are superior to samples drawn potentially weeks earlier. However, a new study from researchers in Canada and Europe has shown this preference to be false. Recently, a team of doctors associated with the Ottawa Hospital Research Institute tested to see if blood stored for up to three weeks was more or less effective than freshly-drawn blood. 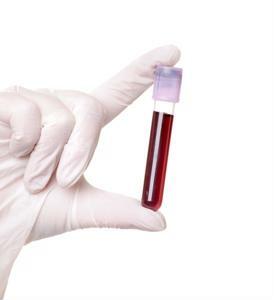 Often doctors prefer fresher samples to administer to patients in need of a transfusion, for the prevailing notion was that red blood cells break down and toxins begin to accumulate in samples over time, even when blood is in an optimized cold storage facility with humidity and temperature monitoring equipment, according to United Press International. The study looked at 2,430 adults who were administered blood via a transfusion over a 90-day period, with about half being given older samples and the other half administered fresh blood. Not only did fewer patients who received older blood die within 90 days of a transfusion, but the researchers overall saw no material difference between the positive outcomes observed among patients in both groups. "There was no difference in mortality or organ dysfunction between the two groups, which means that fresh blood is not better than older blood," said Dr. Dean Fergusson, a senior scientist at the Ottawa Hospital Research Institute and the University of Ottawa. This news is significant, as the researcher's findings should hopefully assuage lingering legacy concerns some doctors have about the blood used in a transfusion. Many hospitals and other urgent care facilities find themselves facing blood shortages. On an average day in the United States, approximately 32,000 pints of blood are required for a wide range of procedures, according to Blood Centers of the Pacific. With the American Red Cross reporting that a significant proportion of U.S. residents that are able to donate do not donate blood, hospitals are sometimes faced with a shortage of available supplies. With this research supporting the efficacy of older blood supplies, however, hopefully medical care facilities will find themselves faced with critical shortages far less often than before, the researchers noted. "Not only did blood transfusions help save my life, they also helped keep my mother alive, as she required many blood transfusions over the years, due to a blood disorder," said Ottawa resident Tony Brett, who participated in the research study. "I have also donated blood many times, so it is great to see that people are doing rigorous research to make sure that our blood supply is as safe and effective as possible." While the researchers involved in this most recent study found older blood samples to be just as effective as newer supplies in treating patients, these results can only be repeated elsewhere if the blood is stored under the right conditions. In particular, if a cold storage unit is too warm, the ability of the blood kept there to carry oxygen once it is inside a patient can be greatly diminished, thus severely limiting its effectiveness, according to the World Health Organization. That is why they recommend blood be kept between 2 and 6 degrees Celsius (35.6 and 42.8 degrees Fahrenheit) at all times in storage. Temperature is not the only environmental variable to consider when storing blood, as other factors like air moisture levels can degrade supplies. In addition to keeping the storage room well insulated and between 2 and 6 degrees C at all times, that location should have a relative humidity level of 60 percent, according to WHO. In order to make sure the room holding blood storage is always kept at the right temperature and humidity level at all times, medical care professionals should equip these storage units with high-quality, dependable environmental monitoring solutions like the Watchdog 15 from ITWatchDogs. Armed with this technology, doctors, health care facility technicians and others can keep tabs on the conditions inside a blood storage room even when located hundreds of miles away from the spot. That way, teams can take action to save samples as soon as an abnormality is detected.